Are you interested in combining in-depth domain knowledge, cutting-edge technology and business intelligence tools to create practical and modern solutions? Hands-on mentality, as our projects are executed in very small teams. Driving innovation, building networks, and assessing and implementing pioneering technologies for business impact are at the core of Quasset. Since its inception, Quasset has been part of several joint industry projects, pulling the value chain together to help companies accelerate their progress and create a competitive advantage. Quasset supports clients in optimizing the balance between cost, performance and risks of capital-intensive infrastructure such as water distribution systems, roads, pipelines, and petrochemical plants, developing inventive products for asset management information and business intelligence based on 3D, virtual, and augmented reality technologies. In 2017 Quasset Test Facility (QTF) was opened, providing companies with independent 3rd party assessments of technology in a highly flexible and relevant testing environment. 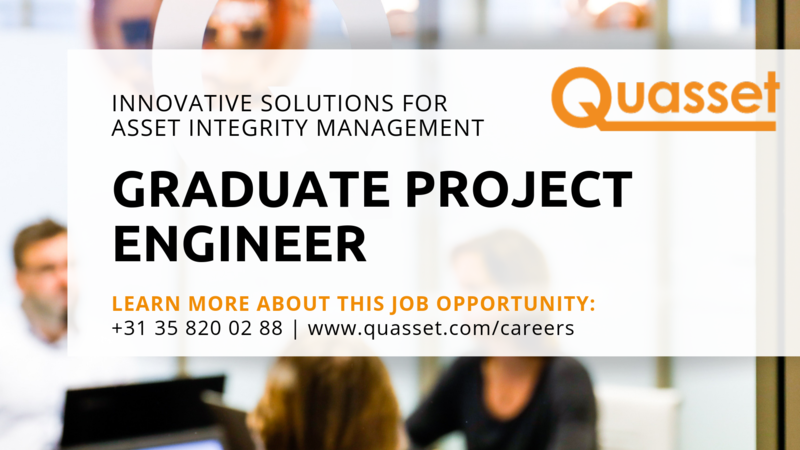 Please send your application including your CV by email to careers@quasset.com. Acquisitions further to this advertisement are not appreciated.